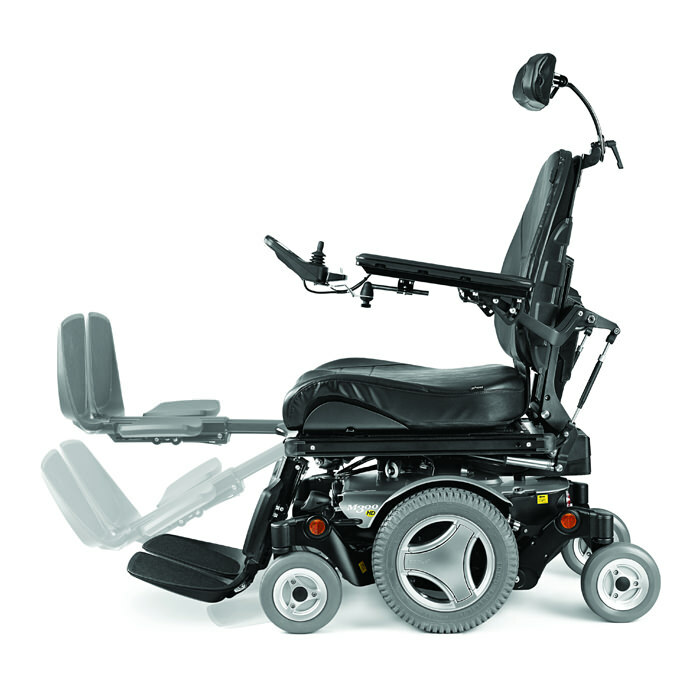 Permobil M300 Corpus heavy duty power wheelchair is designed specifically for users up to 450 lbs. 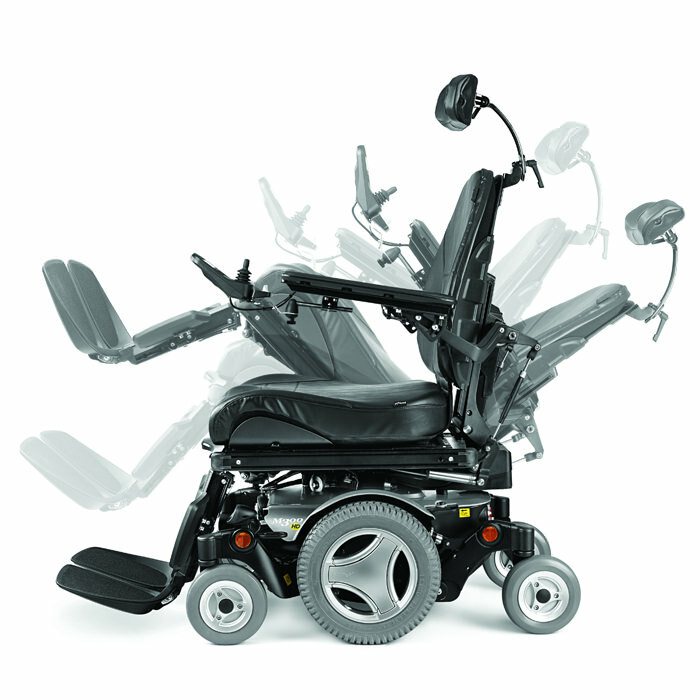 M300 Corpus HD has extremely sturdy arm and legrests as well as wider footplates for additional room, and it features the renowned corpus seating system for the ultimate comfort with an unmatched power tilt range of 0° - 45° and an unprecedented recline of 85° - 150°. 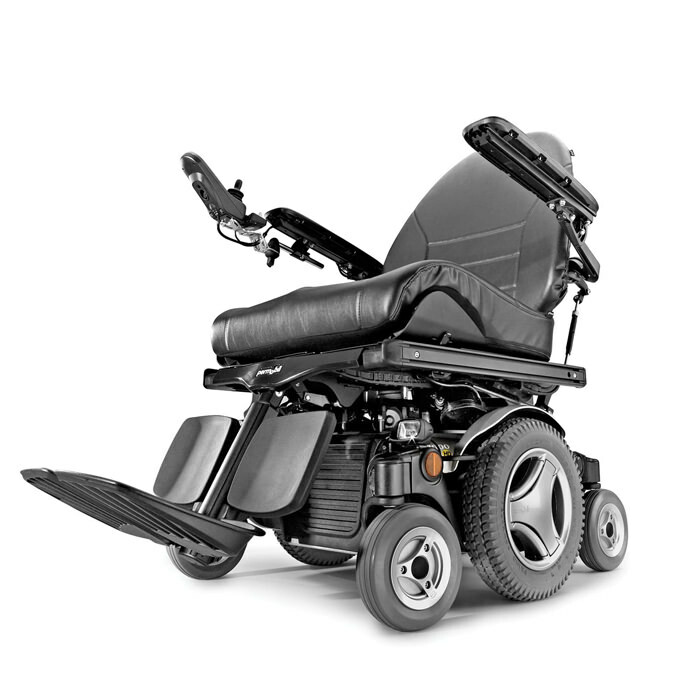 M300 wheelchair base is highly maneuverable and has been both extended and widened for the HD model, while the suspension has been strengthened for an overall more stable platform. 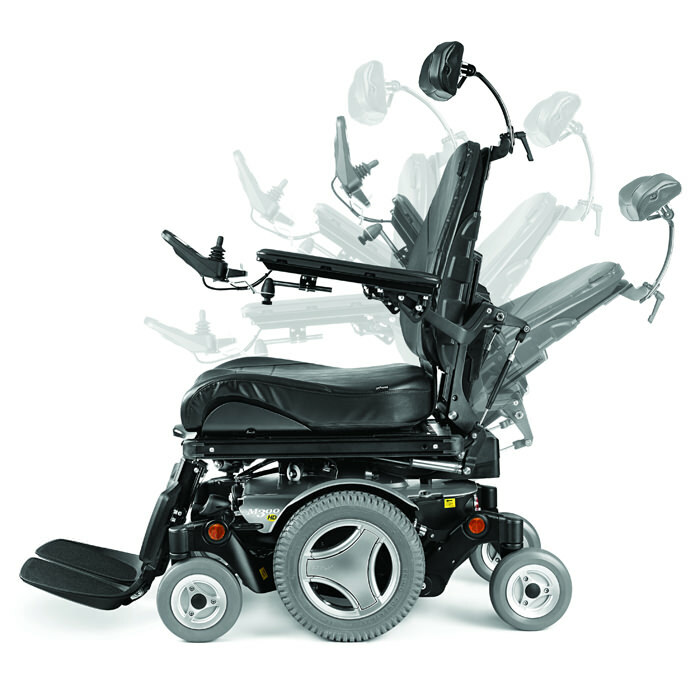 M300 Corpus HD wheelchair has ultra-strong actuators which allow users to safely elevate their feet above their hearts, while the durable mesh-style upholstery helps keep moisture away from the body. Seat to floor height Elevator 17.5"
Seat tube 18", 19", 20"
Seat depths 19" - 25"